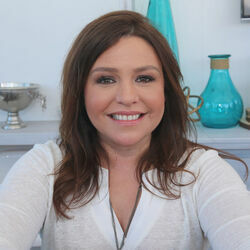 How much is Rachael Ray Worth? 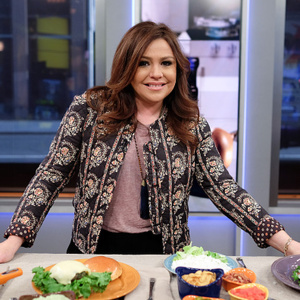 Rachael Ray net worth and salary: Rachael Ray is an American chef, author and TV personality who has net worth of $80 million. Rachael Ray first became famous from her cooking shows: "30 Minute Meals," "Rachael Ray's Tasty Travels," and "$40 a Day". Ray is a favorite on the Food Network, and even has her own magazine, "Every Day with Rachael Ray", that was launched in 2006. She was born Rachael Domenica Ray on August 25, 1968, in Glen Falls, New York. Rachel grew up with restaurant-owning parents who helped nurture an interest in the food business. Early in her career, Rachel worked as a manager of many different food companies. She also worked at the Macy's Marketplace candy counter and at Mister Brown's Pub at a popular hotel, The Sagamore, in upstate New York. Rachael Ray is celebrated for her creative and interesting meal recipes that can always be created in 30 minutes or less. Ray also has said that her food has a Cajun influence to it. Ray's talk show, "Rachael Ray" premiered in 2006 along with her magazine, and has been widely successful. 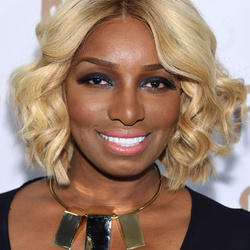 A guest herself on many popular talk shows, Ray's vivacious personality and confidence have also earned her several awards, including Daytime Emmy Awards in 2006, 2008, and 2009 for "The Rachael Ray Show," and was named one of Time magazine's 100 most influential people. She has authored multiple books and cookbooks over the years and appeared on several other TV series including Rachael vs. Guy: Celebrity Cook-Off, Rachael Ray's Kids Cook-Off, and more. 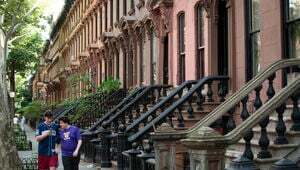 Ray has homes in Lake Luzerne, New York, as well as Greenwich Village in Manhattan, with her husband, John Cusimano. In some years, Rachel has earned as much as $15 million between her various projects. She launched the nonprofit organization Yum-O! in 2006. Ray has endorsed many brands including Dunkin' Donuts, Nabisco crackers, and more.